Sequel supports remote data access to several popular databases such as Oracle, DB2, MySQL, and SQLServer 2000/2005/2008. Sequel should be able to access other databases provided the database has a Type-4 JDBC driver. 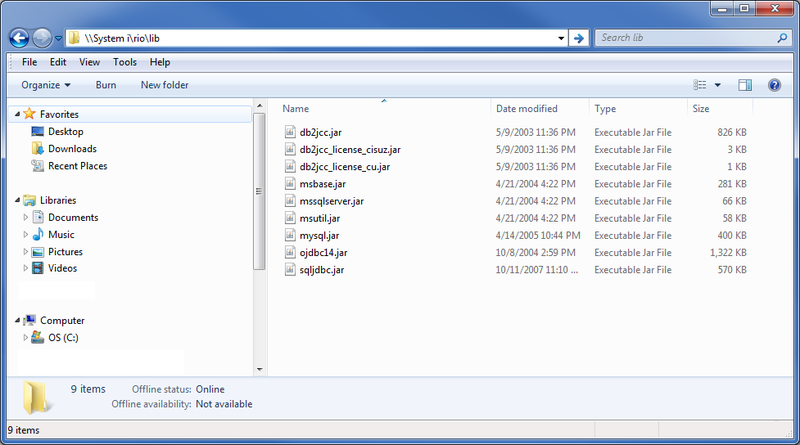 If available, third-party JDBC drivers should always be placed (unexpanded) into the /rio/lib folder. Once the file is in the correct location, you can create and test your connection to the database (this is explained in the ViewPoint User Guide). The Driver class name and required Connection string needed to create the Sequel Host Server entry must be obtained from the vendor that supplies the third-party driver.